The Vatican is exceptional in every sense of the word. The tiny city-state, surrounded by Rome, is the smallest state in the world by area and population, yet it wields a unique power over the world’s 1.2 billion Catholics, by dint of the fact that it holds the seat of the religion’s church. It is independent of, yet fully owned by, the Holy See, the ecclesiastical jurisdiction of the Pope. It is, quite literally, a law unto itself. The Vatican’s relationship with the EU is complex. Despite being located within a central EU member country, the state is unable to join the union as it does not adhere to the Copenhagen Criteria. These regulations, laid out by the European Council, dictate that candidate states must be free market democracies. The Vatican is an elective and ecclesiastical monarchy, with the only economic actor being the state itself. Nevertheless, due to its geographic position, adherence to the majority of EU social dogma and the presence of Catholicism within most EU countries, the Vatican maintains diplomatic relations with the EU. It operates an open border and uses the euro as its sole currency, but is not part of the customs union or VAT area. The state enjoys a number of special provisions from the EU in recognition of its unique status, which include permission to mint its own coins and exemptions from duties and taxes on imports and exports. Part of the reason for these provisions is the uniquely non-commercial status of the Vatican’s economy. There are no non-state companies or organisations in the city-state, and it has no market – rather, it is financially supported by donations from Roman Catholics across the world. Its domestic economy is reliant on proceeds from the tourism industry. Operating inside the Vatican is the Institute for the Works of Religion (IOR), a powerful and highly secretive private financial institution that reports to the Supervisory Commission of Cardinals and the Pope. 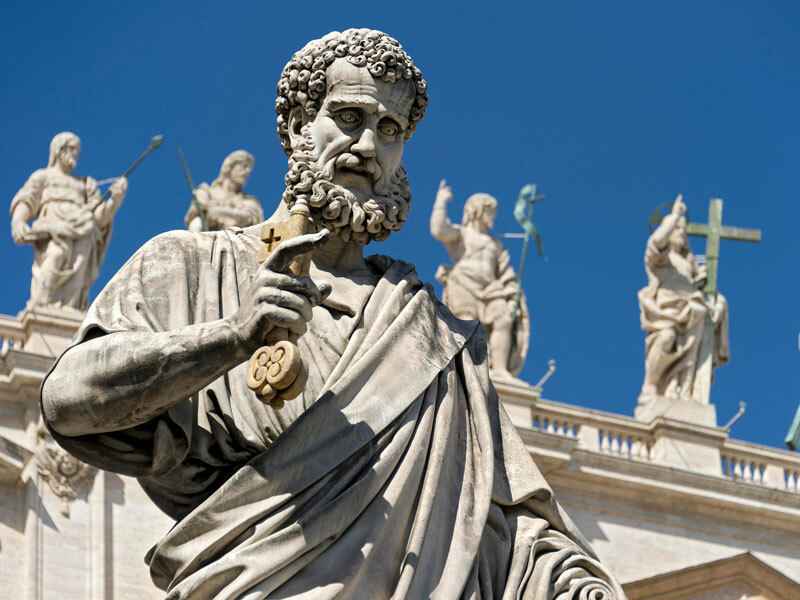 Despite being located in the heart of Vatican City and existing solely to provide financial services to the Catholic Church, the IOR does not fall under the jurisdiction of the Holy See. The Vatican has always shrouded its financial dealings in mystery, but in the last 100 years, its embroilment in financial scandals has allowed Europe to catch a glimpse of some of the skeletons hiding in its closet. These skeletons have earned the Vatican international infamy and have caused conflicts with the EU and a number of its member states. The Vatican has long been criticised for signing the 1933 concordat with Germany, which eliminated official Catholic resistance to Hitler, leaving a clear path for the Nazis to assume power. More recently, though, details have emerged about the extent to which the Vatican had financial links to the Nazis through the IOR. In his book God’s Bankers: A History of Money and Power at the Vatican, historian Gerald Posner writes that the Vatican received a substantial ‘Kirchensteuer’, or church tax, from Hitler’s Reich every year. This tax, amounting to $1.7bn (€1.94bn) in today’s money in 1943 alone, was paid via the Vatican bank to avoid the transaction being tracked by any other western banks, while evading wartime financial restrictions. It was at this point that the IOR became known as the world’s best offshore bank. The Catholic Church used the IOR to hide billions in wartime loot, much of it from Nazi sources, but because it never released its full financial records to the public, it’s impossible to tell exactly how much it profiteered from its relationship with Hitler. Multiple dissenters over the years have testified that the two parties had an immorally close relationship. The Vatican has been condemned for this relationship by a wealth of historians and politicians from across Europe. Despite being highly critical of tax havens, the Vatican is notorious for using the IOR to launder money for organisations with violent criminal backgrounds. Due to its status as a sovereign state, the Vatican is able to withhold transaction information from regulators and authorities, a fact that was notably exploited by Roberto Calvi in the 1980s. Calvi was chairman of the Italian Banco Ambrosiano and was dubbed ‘God’s Banker’ because of his close ties with the Vatican. The IOR was also the largest shareholder in Banco Ambrosiano. During Calvi’s tenure, he set up a network to move the bank, and therefore the Vatican’s funds, into illegal offshore accounts. Calvi made a healthy profit, of which the IOR took a cut. When Ambrosiano collapsed in 1982 after financial authorities found a $3.26bn (€2.86bn) hole in the bank’s finances, the Vatican paid a $244m (€214m) settlement, without admitting to any wrongdoing. Prosecutors in the case said that while the bank had expressed a “generic and stated” will to conform to international standards, there was “no sign” that it was moving in that direction – “exactly the opposite”, in fact. Nunzio Scarano was a senior accountant at the Administration of the Patrimony of the Apostolic See, the body that handles the Vatican’s property holdings and stock portfolio. Scarano was well known for his extravagant lifestyle and was referred to as ‘Monsignor Cinquecento’ [Mister 500] by fellow Vatican priests for his propensity to only carry €500 notes on him. He was arrested in 2013 after it was alleged that he had plotted to smuggle €20m in untaxed cash into Italy as part of a tax evasion scheme. Scarano was acquitted of corruption charges by the court in Rome but was convicted of slander and given a two-year suspended sentence. In a 2013 review of the IOR’s accounts, the Council of Europe’s Moneyval committee found 105 suspicious transactions in that year alone, despite the Vatican’s claims that it was cracking down on illegal financial activities. Suspicions of money laundering have been rife at the Vatican bank for some years – it has always been a natural choice for criminals wanting to hide covert funds, not least because it processes an extraordinary amount of cash from donations. But after 9/11, governments across the globe began to crack down on financial security over concerns that laundered or illegitimate funds were being used to bankroll terrorist operations. The Bank of Italy launched an investigation into the Vatican’s finances in 2010 and found that the city-state was moving billions of euros between global commercial banks every year. In 2012, JP Morgan forced the IOR to close its account with the US bank after it was found to have moved €1.5bn through that singular account in just 18 months. In July the same year, the Council of Europe’s anti-money laundering council found that the IOR was non-compliant on seven of its 16 core standards. The Vatican never complied with the Bank of Italy’s investigation, so the source of much of the cash has never been revealed. When Pope Francis began his tenure in 2013, he brought in financial consultants to clean up the Vatican bank, and in 2015, the IOR signed a landmark treaty with Italian regulators that committed it to total financial transparency. Given its special relationship with Rome, the Vatican has historically enjoyed a number of financial perks from the Italian authorities. These include a municipal tax break for all non-commercial properties that contain a chapel. Between 2006 and 2011, the Vatican used this loophole to avoid about €4bn of tax on hundreds of properties in Rome, some up to 10,000sq m, which it justified by including a three-square-metre chapel. In November this year, the European Court of Justice ruled that this practice was illegal and ordered the Vatican to pay back a whopping €4bn in post-dated tax. Many have argued that this figure barely touched the sides of what was owed and have called for the period dating back to 1992 to be taken into account, which would drive the overall bill to over €13bn.